Adrenaline rush is 566 metres long, top speed reaches 85 km/h. 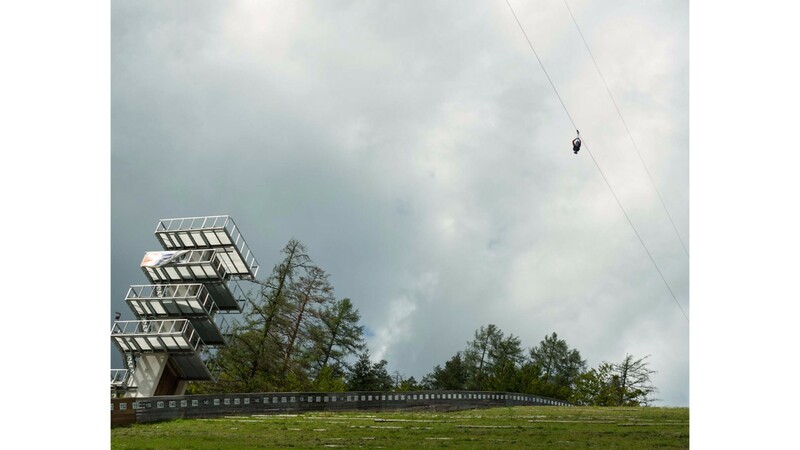 Ready to fly over the jumping hill and turn into real-life eagles? 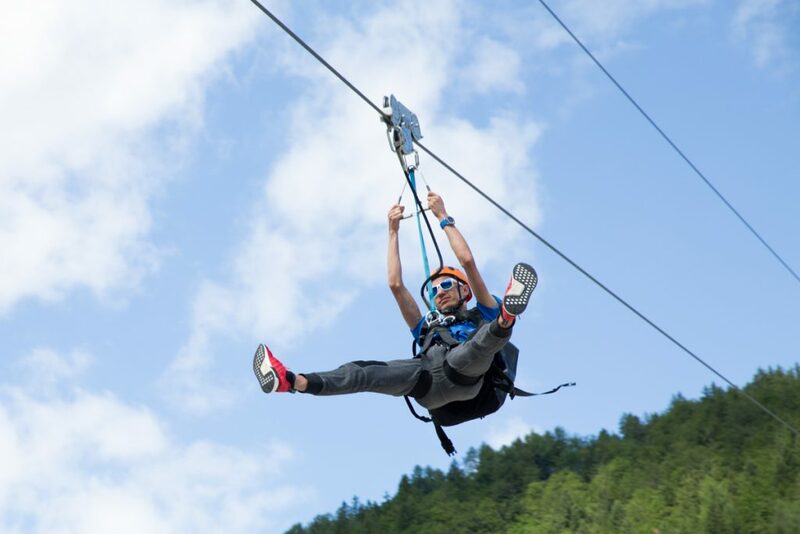 Are you ready for the most thrilling ride of your life? Up to now, the area of the flying hill has been reserved for the greatest ski flying legends only. 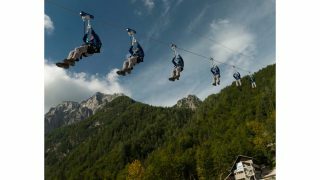 However, with our new great attraction everyone can experience how it is to fly along the world’s largest jumping hill. 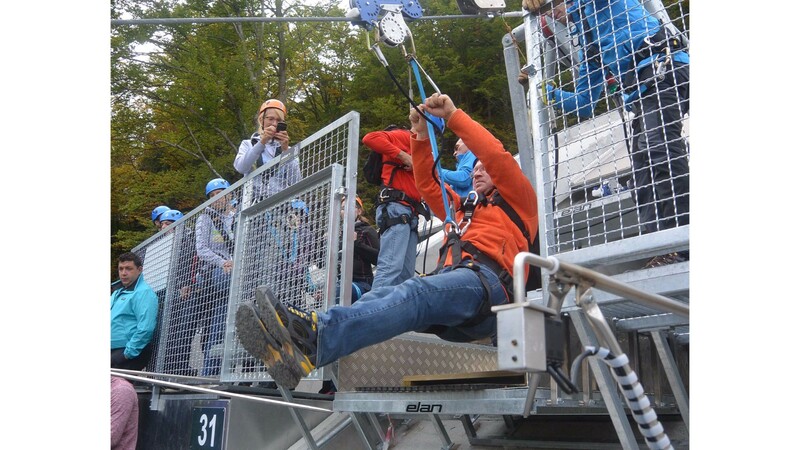 If you want to enjoy your descent, please book a place first. We suggest you come at the centre's reception desk at least 15 minutes before the descent. Reception desk od Planica Nordic Centre is located in central object (round object opposite to the flying hill of Gorišek brothers). We will inform you about the descent, distribute the equipment, answer your questions and guide you to the chairlift. 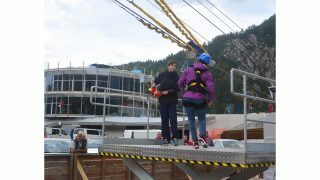 You will get a safety seatbelt, helmet and trolley zipline, suitable for your weight. 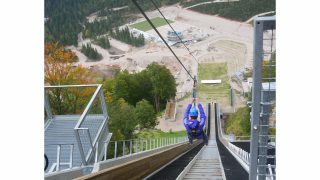 Chairlift will take you to the top of the Flying hill of Gorišek brothers. 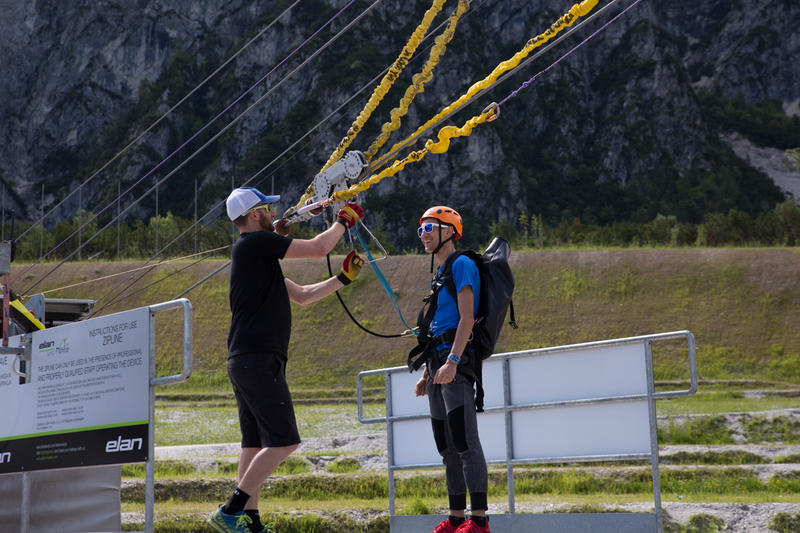 Instructors will wait for you there and provide you with the last details. 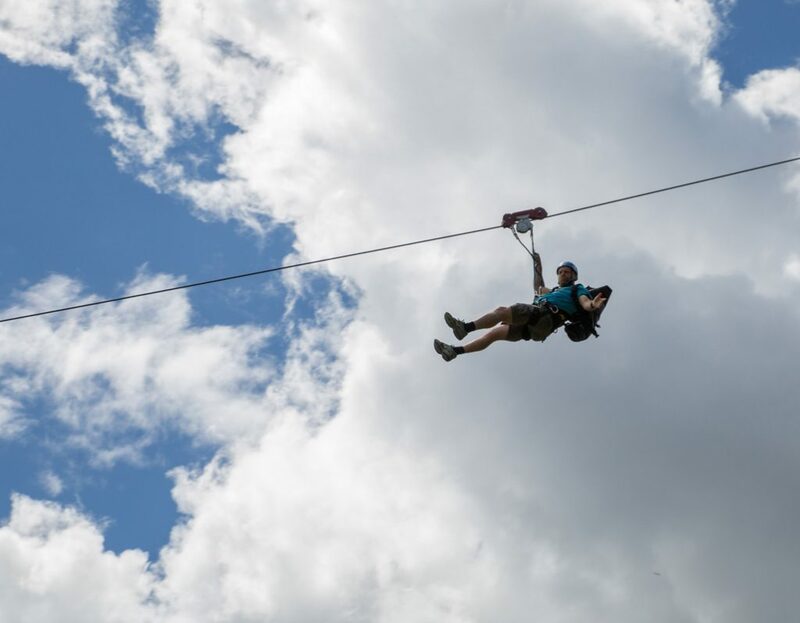 The only thing left is the 566 metres-long feeling of a complete freedom and unforgettable adrenaline rush. 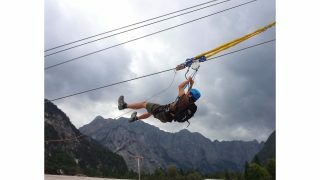 Zipline is available to persons older than 10 years. 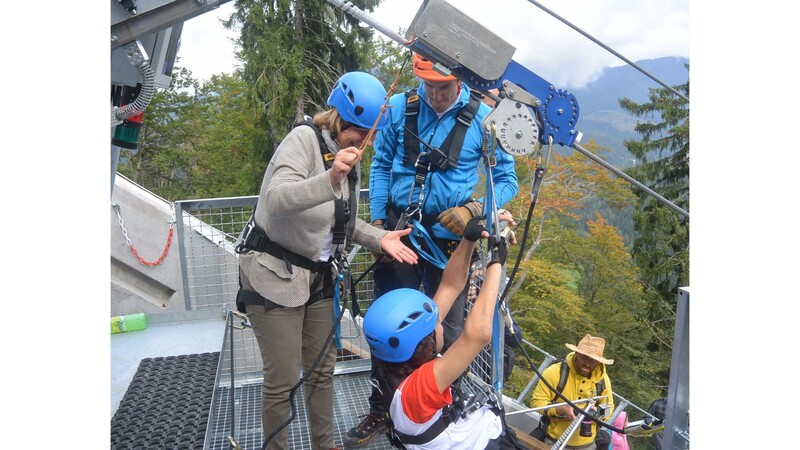 For the children over 5, it is possible to descent with an accompanying person (tandem), but total weight of a tandem cannot exceed 110 kg. The use of the zipline is possible in temperatures ranging between -10 °C and 40 °C. In case of extremely bad weather conditions we will inform you and cancel or postpone your reservation. 1. Persons under the influence of alcohol, drugs or other substances that diminish the psychophysical abilites. 2. Persons with high blood pressure, damaged spine or cardiovascular diseases. 3. Pregnant women and persons suffering from epilepsy. 4. Persons that underwent surgery less than 6 months ago or had surgery on the eye less than a month ago. 5. We also warn mobility-impaired persons against possibility of pain infliction. Participation is at your own risk. Haven’t found all the information about the descent? Write us or give us a call, we are here to help you. Would you like to cheer someone with a gift voucher?